Diamine Magical Forest (Nibs & Nails!) | Inkdependence! Yep, Nibs & Nails are back! 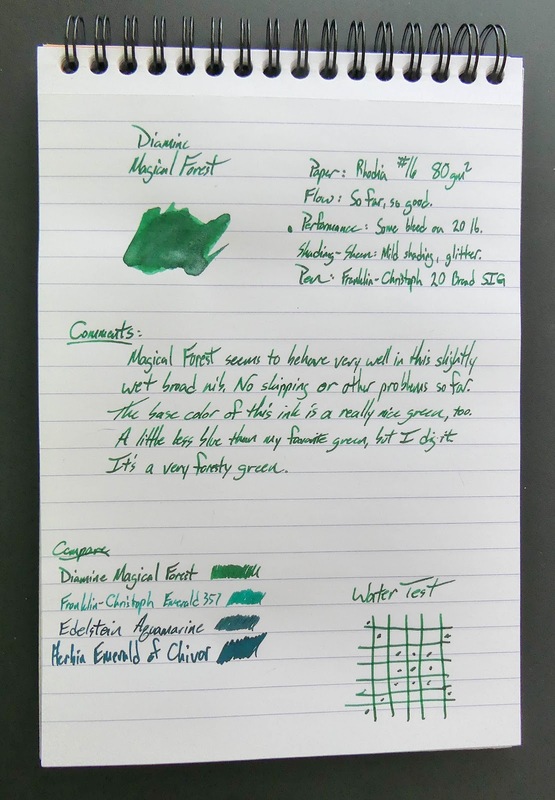 It's been a little while since we've done one of these combo posts, but we're back with another ink and nail polish combo. Hooray! 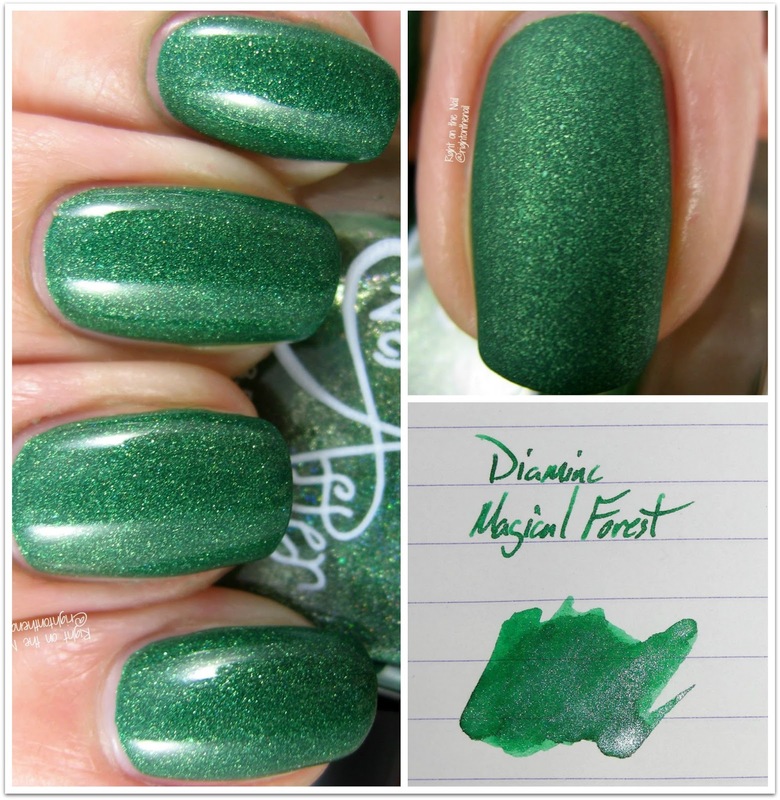 Magical Forest is a bright green that makes me think of golf-course grass or pine needles or AstroTurf. 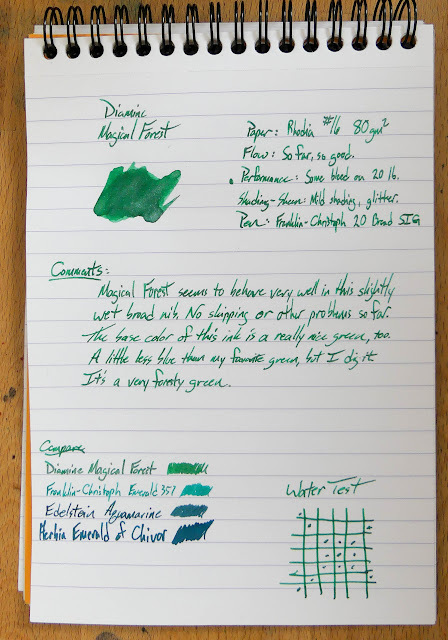 I really like the color, and it makes me realize how blue my (current) favorite green really is. This one is more of a pure green, far warmer than the Emerald 357. 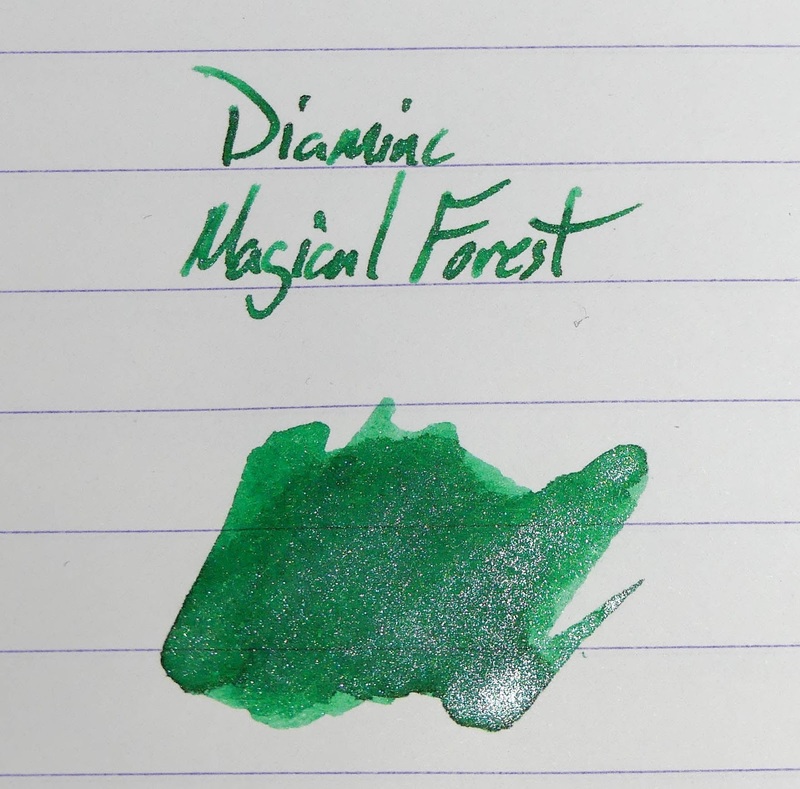 And, of course, it's a Shimmertastic ink. This one might have the best behavior of them all. 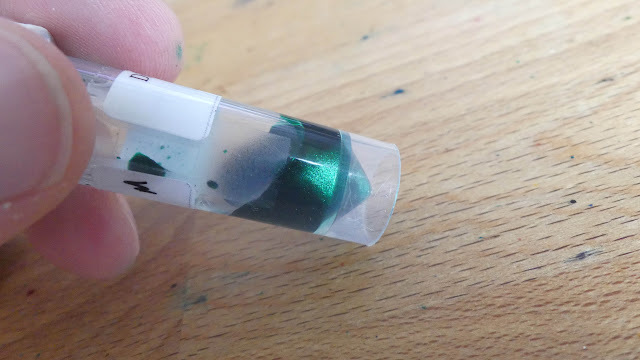 The silver shimmer in this ink doesn't seem to cause the stoppages that other Shimmertastic inks did. I've had it in the same pen since July, and I haven't had any issues with it in that time. 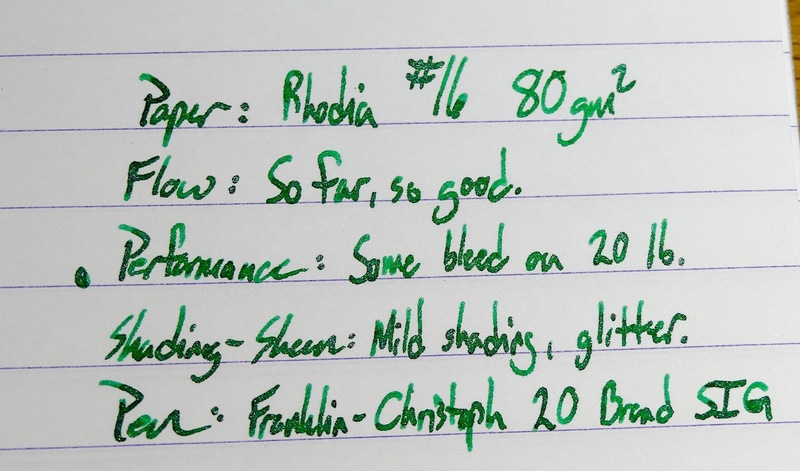 The nib on this pen is slightly wet, and the feeds that Franklin-Christoph uses with their #6 nibs are really good so that helps. 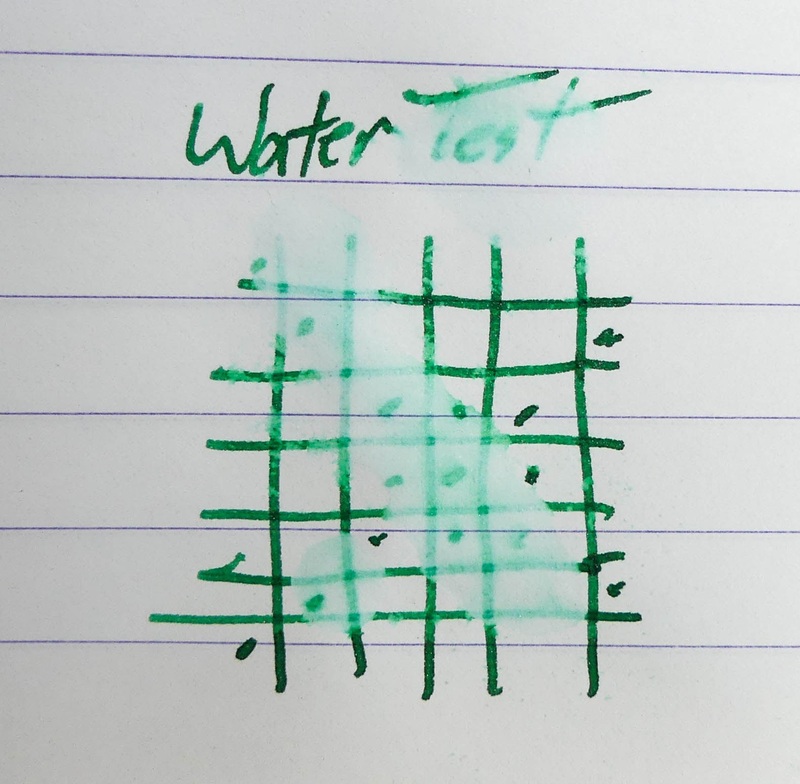 Either way, this ink didn't cause any issues. 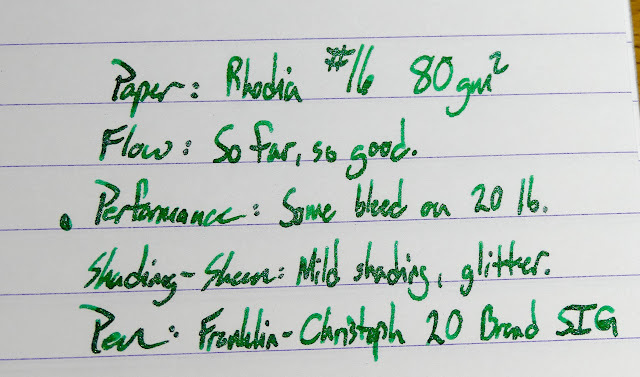 Emerald of Chivor looks really blue in this shot, but I think it's because I just dipped that nib for this sample, and I think it came out a little weird. 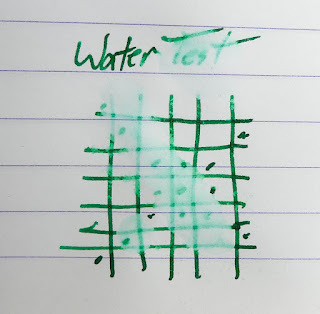 Emerald of Chivor doesn't usually look like this. Oh well. 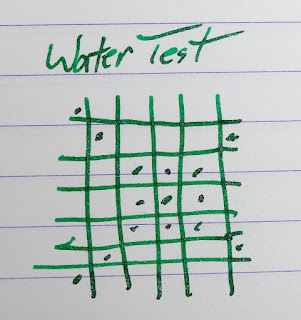 At least it's not an Emerald of Chivor review. This last one is taken in some direct sunlight. 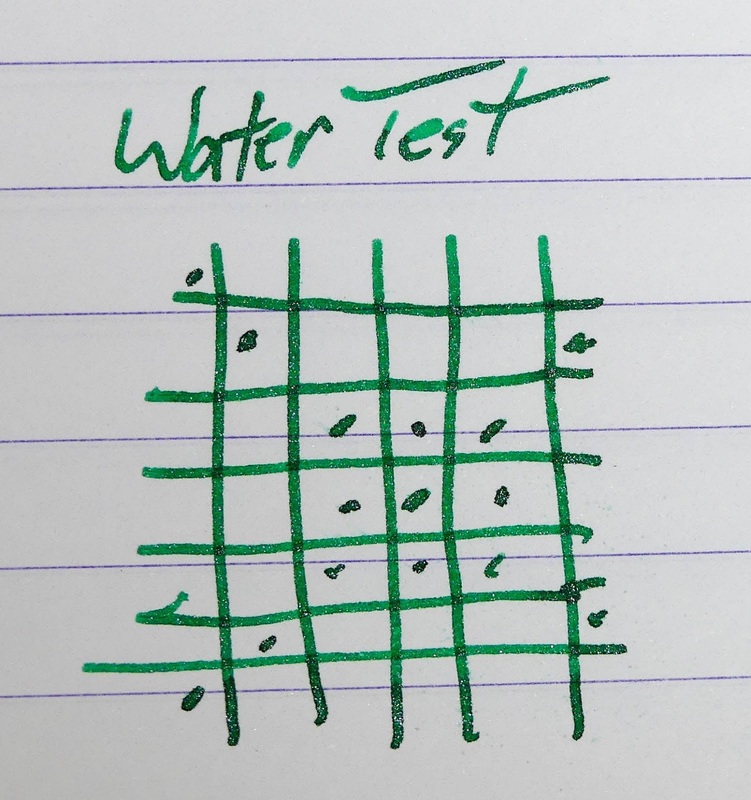 The little dots are the shadows of rain drops on the window. It as a rainy day in the Magical Forest. Also, that's a hair from Mr. Nose. He's a silly cat and his hairs are inescapable. He also tried to jump on my lap while I was recording the video. I think you can hear me yelp from the claws. He loves, though. As I said above, the Emerald of Chivor is really heavy in this image. I dipped that nib and it is way darker and more blue than it ought to be. The Emerald 357 looks a little washed out, too, now that I look at it. 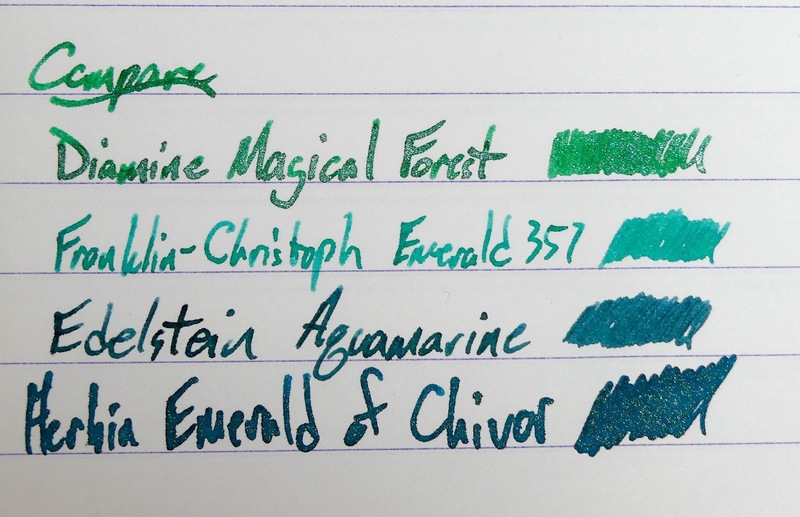 The Aquamarine and Magical Forest look dead on, though. 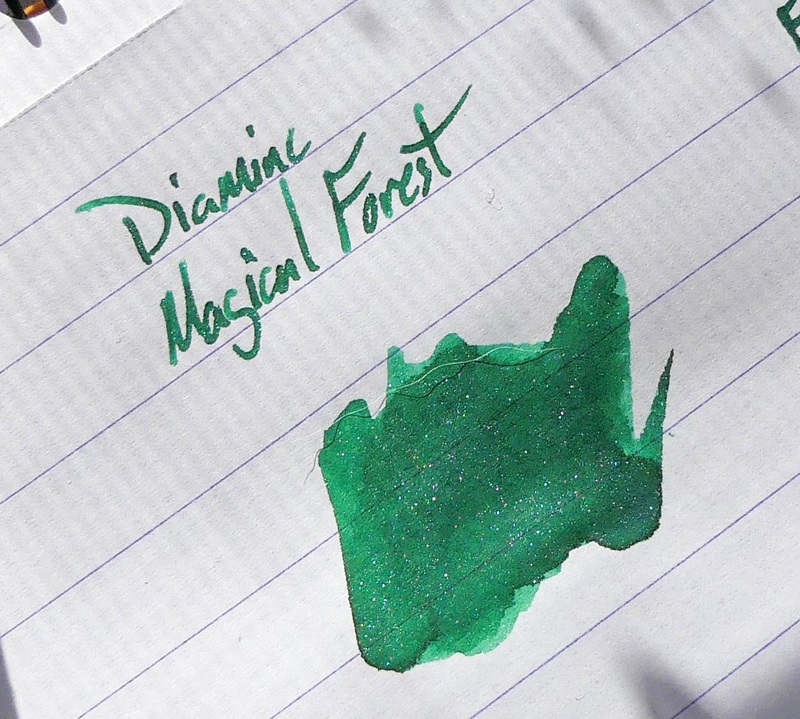 If you're looking for a happy green ink with a nice amount of silver shimmer, then Magical Forest is probably going to be your jam.